AERODYNAMICS ADD-ON, THE MIGHTY HISPANO-SUIZA BLOWER! AH, MON FILS! THE BIGGEST RACING LEGEND EVER IS A NUN IN AN UGLY DUCKLING! 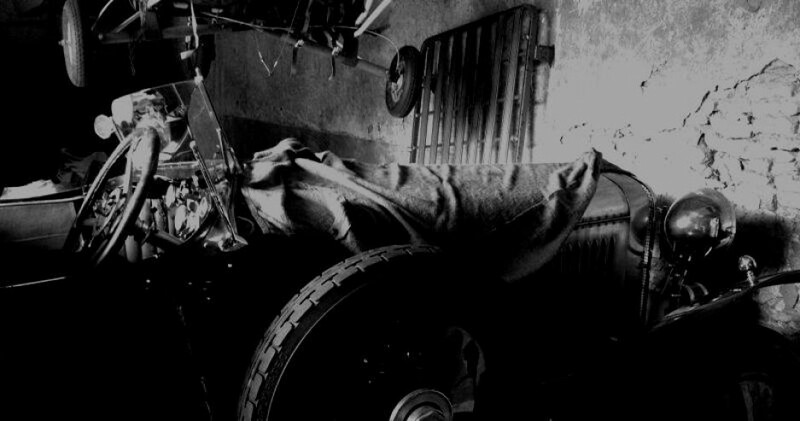 BUGATTI IN A BARN – ARE THEY STILL LANGUISHING OUT THERE? CALL 9-1-1! A TALBOT-LAGO T150 C FIGONI-FALASCHI TEARDROP IS BEING SLAUGHTERED! CHB WISHES YOU HAPPY HOLIDAYS, PERHAPS ON THE ROAD? HAVE YOU HAD YOUR CAR BLESSED YET? HENRI CHAPRON, THE VANGUARD AMONG THE GREAT FRENCH COACHBUILDERS! HOW MUCH CASH IN OLD SOCKS ARE WE TALKING ABOUT? HURRAY! I FOUND THE WHALE THAT SWOLLOWED PINOCCHIO’S DAD! I AM IN MECHANIC’S CLASS AT A SPOOKY BARN! INTRO TO THE UP-COMING PININFARINA WEEKEND FEATURE! LE CORNIAUD GANGSTER – UN CAPOLAVORO FRANCESE! MASERATI BUILT A SPACE SHUTTLE! MERCEDES-BENZ 500K SPEZIAL ROADSTER PEARL BURRIED FOR MORE THAN 30 YEARS! THE BEST BOND CAR EVER, OR JUST A COINCIDENCE? THE BUGATTI 101C EX-CAGE SUPERSTAR! THE FIRST SUPERCAR IN HISTORY? TAKE A LOOK AT THIS P400 BULL! THE HOLY INSURANCE OF ST. CHRISTOPHER! THE SPORT OF SHIKAR, AT YOUR SERVICE YOUR HIGHNESS! WAS THE FIRST CONCEPT CAR EVER THE BROOKE SWAN CAR? WHAT WOULD YOU DO IF YOU HAD TOO MUCH MONEY IN THE BANK? WHO KNOWS THE MEANING OF THE MERCEDES-BENZ SYMBOL? FORGET THE GERMAN MOTORWAY CIRCUIT! THIS IS PETROLHEAD HEAVEN! LET’S HIT THE TRACK AGAIN! ROAD CIRCUIT AND A SECRET PORT TO WONDERLAND! STRØJER SAMLINGEN IS THE PLACE TO BE AND THE NEW HOME OF MY DEAR FRIEND THE HISPANO H6C! THE GRAND OPENING OF MUSEUM VOLANTE – A VANVOOREN COACHWORK PARADISE! THE INTERCLASSICS BRUSSELS PREMIERE WAS…! WE TAKE IT TO THE NEXT LEVEL; UNDERGROUND FERRARI DINO FIND! 540K SPECIAL ROADSTER WORKSHOP TOOLING FOR SALE! A TRUE DRIVING PLEASURE IT IS! ATTENTION, GET FAMOUS IN THE DUTCH CINEMAS WITH YR CAR! COUNTLESS GREAT PETROL HEAD FRIENDS AND MY DEBUT DRIVING A TEAL! GET READY FOR CONCOURS D’ELEGANCE CHANTILLY ARTS & ELEGANCE RICHARD MILLE! GRAB YOUR OLD SOCKS WITH CASH, THIS LAMBO CONCEPT ‘S’ IS GOING UNDER THE HAMMER! LOOK A CHB ACQUANTANCE FOR SALE! LOST BUGATTI T44 APPEARS IN NYC! MIURA I AM IN LOVE WITH YOU! MY CLASSIC DRIVERS DEBUT – STARTING BIG IS THE BEST WAY! OUR DELAHAYE 135M CHAPRON CABRIOLET MAKING FAME IN THE DUTCH CINEMAS! SHOW ME TO A HIGHER PLACE, TAKE ME TO OUTER SPACE! THE ROAD ESSENTIAL FOR WIRE WHEES! THIS IS WHAT WE PATROL HEADS LIVE FOR! “AH, MON FILS” – ADD-ON, 2ND BONUS FOR TODAY! HOW THE DUTCH USED THEIR BUGATTIS? POTW – A TRUE HISPANO-SUIZA PALACE FIND! POTW – AN EXTRA 5X – TOUR OF THE MIURA PRODUCTION LINE! POTW – DONT MESS WITH THE BEETLE! POTW – HELP! ANIMALS ARE TAKING OVER THE WORLD! POTW – THE CHESHIRE CAT APPEARING ON A CADDY THIS TIME! POTW – THE FREDERIKSEN AUCTION THRU ANOTHER EYE! POTW – VANVOOREN COACHWORK PARADISE! POTW PHOTOREPORT – THE AFTERGLOW OF THE BCN RALLY! POTW X4 – MIURA PRODUCTION LINE TOUR! POTW X5 – TALKIN ABOUT COACHBUILDERS! POTW X5 – SOCIALIST RESTORATION PROJECT! VOTW-WHO DOESN’T REMEMBER ‘THE GRADUATE’? SMASHING BARN FIND DELAGE D8 DROPHEAD SOLD FOR 25 POUNDS! WATCH OUT FOR THE BULLS WHILE BARN FINDING! WHO LIKES A DIRTY CAR? WHY WOULD ANYONE WANT TO GET INVOLVED WITH THIS OILY AND GREASY HOBBY? A FUN PORT-TOUR WITH THE 135MS DELAHAYE AND THE WORKSHOP OF A SPECIALIST! BACK TO THE HISSO CANDYSHOP! CAN’T GET ENOUGH OF THE WORKSHOPS! PRESS, BEND… AND MIND YOUR FINGERS! Let’s get to the point, the journey of the Salmson D-GSS-GS with twin overhead camshafts (2act) to a state of absolute perfection! In fact his garage is not large… but everything just fits in there perfectly! He owns vintage machines to restore everything in style! Such as the 1942 TOBIN ART vintage align-drilling machine for the crankshaft bearings, after having poured the babbit … of course also by himself. And there are several more such interesting vintage machines. Last but not least the very special machine of which only one exists in the world and it is in his garage! The waffle machine, an extremely useful tool for every piston! The waffle feature was once a patent of two Dutch/Belgian engineers, who built only one machine to apply this technique to pistons. It has been used on quite a number of pistons, as well as already in use or new, but today the technique has almost been forgotten, except by our TRUE specialist! You may now wonder what is the benefit of this waffle pattern? Well, it gives higher compression, better oil distribution and better lubrication for the piston. It will also raise the compression because the waffle grooves fill with oil, resulting simultaneously in less wear and less resistance. There will be no more ‘blow by’ thanks to the labyrinth of waffle grooves. Another benefit is that piston clearance can be reduced by 10-15%, giving better sealing, better cooling and no ’tilting’ of the piston in the cylinder. No piston jamming anymore! A formula for higher revs and most of all less risk for piston damage and seizure, isn’t that what we all want? The bottom scraper ring can often also be left off. So, this truly is a must for every technical petrol head who wants a smooth running and fast engine! Another Amilcarist, who has applied the waffle pattern, immediately noticed that while starting the engine with the crankhandle the compression was higher than before. The unique tool to apply the waffle pattern to a piston consists of two toolbits, positioned at an angle, a chuck hiding the piston and a hand operated mechanism to turn the piston in two directions without having to remove it from the chuck – very ingenious! To come back to those wooden door cappings of the Salmson… very creative craftsmanship. He steamed the wood in molds to carefully and slowly bend the wood into the right shape! The point where the wood is connected looks really wonderful at the steering wheel, which can be swung upward for easier access. It gives a great finishing touch!